It's actually 2 buildings, I'm in the pink building, which is attached to the peach building, which is actually where my booth is. The bright yellow building is separate, but part of the same store. Clear as mud right. I guess what I'm saying is... to get to my space, go in the pink building, follow the hall way around, and I'm the second to the last booth on the right, before you hit the wall. how much stuff can she cram into a 10x10 space??? I'll be back up there tomorrow, doing more pricing and arranging etc. As you know booth's are never done, and are always a work in progress. BTW I think I may have already sold one of my bigger pieces. The lady is coming back tomorrow, and even called to see if I'd brought it in yet for her to look at tomorrow. Woo Hoo! Where is this great place. If you live in Tyler, go to hwy 155, turn outside the loop and head towards Noonday. Shortly after you pass the firestation, look for the Chevron in the Blue house, look behind it and you'll see the store. Today I sign my contract and start moving into my new booth at Our Little Corner. Watch for pictures and details later today. As well as pictures from my visit with 2 bloggers yesterday. Details later, no time right now. The Local Estate Sales are starting to pick back up after a new year's slump. I hit 2 today, nothing much at the second one, but the first one was great. I picked a box of what appears to be parts to a broken chandalier. When I got it home and started cleaning the crystals, I was surprised at all the different shapes, and I love those glass arms too. I also picked up some old trim that had been mounted to wooden boards. I wasn't happy with the way they were painted. So I've started the re-painting process. I moved it all indoors, because it's so cold outside. I saw these decorated bottles at Judy Hill's sale in November. I would love to find out where to get these clear glass bottle ornaments, but I can't find them. I find plenty of the clear glass balls, but I don't want those, I want these. Do you know where I can find some? Tomorrow I'm driving to Dallas for some personal business, but of course I'm adding on a few stops as well. I'll be visiting a couple of junkin buddies, and hopefully have some fun finds to share with you when I get back. My trip to Malakoff on Saturday, also included a first stop at Curious Goods. This is a real cute store, and these gals have some great ideas. They gladly allowed me to snap some pics and I'm anxious to share them with you. And look at this lovely collage. I happen to have some similar stencils available in my store. Donna & Rhonda are truly talented ladies, if you are ever in Malakoff Texas be sure to stop by Curious Goods for a curiously good time. As some of you may know, I had a bad experience last year with the antique mall I was at. Sales were great, dealers were great, Management wasn't so great. So I moved out and had my Yard sales, sold on ebay etc. But I was missing the whole booth/store thing. So I've decided to take the plunge again at another place, and this place is only 4 miles from my home, can't beat that. First I talked with other dealers that have booths there, asked questions about sales, management, rules, rent etc. It all sounded good. Then I went up there and talked to the management and it is still good. So guess what-I'm gonna do it. I should be able to start moving in Feb 1. I'm sure I'll be updating you with pics and progress so stay tuned. The place is called Our Little Corner, and if you are a Tyler area local, it's located near the Noonday Fire Department. If you've never been there, you owe it to yourself to make a visit. Turn outside the loop onto 155 towards Noonday. Go several miles and you'll see it behind the blue store on the right side of the road, just past the fire station. I'll be sure to let everyone know when I'm having my grand opening. Oh this will be fun (I hope). Now for a project, Remember the styrofoam dress form I bought in Malakoff on Saturday. Well here it is now. This was real easy, I just decopaged old patterns to the styrofoam. What I like is the different colors of pattern paper. I may just keep this now. If you haven't read about my trip to Malakoff be sure to read the post below. By Popular Demand, Soldered Bottle instructions now available. Malakoff Texas is about a hour from me, so when my friend Lilly announced her store opening this weekend, I knew I'd be going, See post below. Malakoff is a small town, that is turning into quite the Antiques Destination. If you are ever on Hwy 31 going through Malakoff, be sure to stop by the stores in town as well as the ones on 31. There are lots of goodies to be found. First stop, Curious Goods run by Donna & Rhonda. Teresa Cano was already there. Donna (right) is giving Teresa directions to the various shops. They are almost all within walking distance. Doesn't Teresa have a pretty smile. She had a great spread of munchies for us. I decide to take a picture of Teresa taking a picture. Since we always see her wonderful pictures and never see her. Pop over to her blog to see many more pics of the day. I hit several other places in town, had lunch hit another store and then headed home. It was a fun morning, Finding great junk, and meeting many many many bloggers and lurkers. It was great to see each and every one of you. The windmill blades below are my favorite find. I hung them in my Family Room. Remember that card display rack I got in Louisiana last weekend. I'm using it to display family photo's in my family room as well. I love old rusty stuff. Hello to all, First I want to say thank you for all the well wishes. I am feeling a bit better. I actually got to sleep last night, as my cough decided to calm down. And I'm feeling better each day. I still get tired real easy, and out of breath. But I see the light at the end of the tunnel. On Saturday I'm hoping to go to my Friend Lilly's new store in Malakoff. Lilly has been selling in Canton for awhile now, and that is how I met her. She always has fun stuff, and I can't wait to see what she's got in store in her new place. Malakoff is also a fun antiquing town with several other fun stores, so I'll have money in hand. I'm also hoping to meet up with Teresa Cano there and Maybe Mindy as well. She opens at 11:00 am. Click the links to see more about this new place. I want to thank everyone who has been ordering e-book instructions. I've actually just improved the China Wreath instructions, added more pictures and more detailed explanations. If you already have the URL you'll find the updates there. If not the price is the same and you can order it for only $8 by clicking the link on the side bar. I believe that I will be canceling my class for Feb 5th due to lack of interest. I've only had 2 ladies sign up, and that's just not enough. But never fear, I am putting an e-book together with all the info you'll need to do your own soldered bottles. Look for it soon. I've had several requests about the items I found last week in Louisiana. 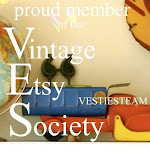 I've listed almost everything on my ebay, so pop over there and see if the item you wanted is listed. Have a great Friday, see you in Malakoff. As well as seasonal gifts. You see Alison loves old stuff just like me. She is the one that told me about Arcadia Louisiana. Not everyone will share their secret shopping spots, but Alison did, and told me where the best places were. She has also been gracious enough to carry a few of my items on consignment. But not everyone knows where this great little store is, and I'm here to change that. If you live in the Tyler area, you owe it to your self to stop by her shop and treat yourself. Go down University from the loop, just past the DPS office. Turn left at that first street, you'll see Cedar Ridge Hair Studio, and Alison's little shop shares the parking lot with the Hair studio. Blink and you'll miss your turn. This is the same gal that taught the ornament wreath class I took just before Christmas.